Babies sleep a lot, which can translate into a ton of worry time for parents who are concerned about Sudden Infant Death Syndrome, also known as SIDS, and other sleep safety issues. While there’s nothing you can do to completely erase the risk your baby will face while sleeping, there is much you can do to decrease it. Check out the comprehensive guide by Mom Loves Best and the quick tips below that will teach you what you can do to keep your precious angel safely slumbering so you can get a little rest too. It’s a mom’s nature to think their baby should be wrapped up nice and warm so they’re comfortable while sleeping. But sometimes, we can overdo things. If your baby is too warm from being overdressed or if the room they’re sleeping in is too warm, it can lead to an increase metabolic rate in babies. That can cause loss of control when it comes to breathing. Experts recommend that infants sleep on their backs for a reason — it’s better for them and cuts down on their SIDS risk. The American Academy of Pediatrics started recommending babies sleep on their backs rather than their stomachs in 1992. 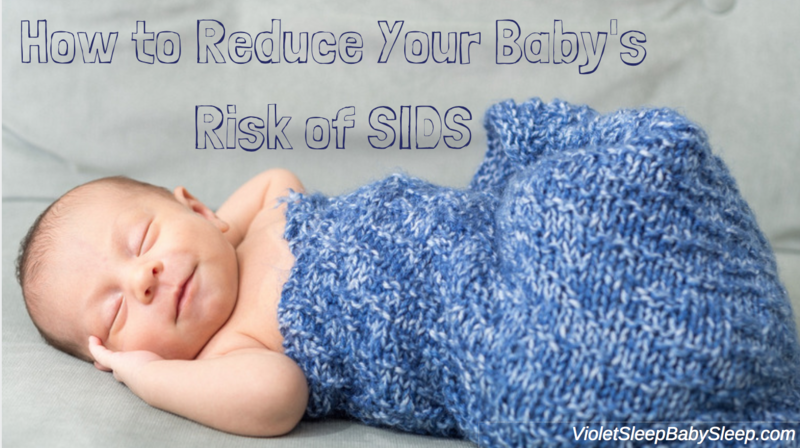 Since then, the number of SIDS incidents has dropped by more than half. Whether you’re putting your child down for a nap or a full night’s sleep, always remember to place them on their back, not their stomach or their side. If it’s at all possible, consider room sharing with your baby until they are at least 6 months old, instead of having them sleep by themselves in their nursery. It’s what the American Academy of Pediatrics recommends, and they even say it’s best if you can room share until your baby turns 1 if you can. That doesn’t mean you should be sharing your bed with them though. Having them sleep in your bed still is a giant suffocation risk, so you should avoid that. Instead, put their crib in your room, or use a bassinet. That adorable stuffed animal you think would look so cute in your baby’s crib? Don’t put it in there. It’s a suffocation risk. Other suffocation risks include loose blankets, pillows, and crib bumpers. Although it might look plain to you, a bare crib, with only a tight-fitting sheet, is the best sleeping environment for your baby. You can either swaddle your baby or let them sleep in a sleep sack. That’s all they need unless your house is unusually cold. As parents, it’s normal to want to protect your baby from all the possible harm that could come its way. The best way to do that is by educating yourself. Awareness is your best ally when it comes to keeping your child safe. So do your best and then let yourself off the hook. If you’re doing all you can to set up a healthy home for your child, you’re a great parent and they’re lucky to have you!